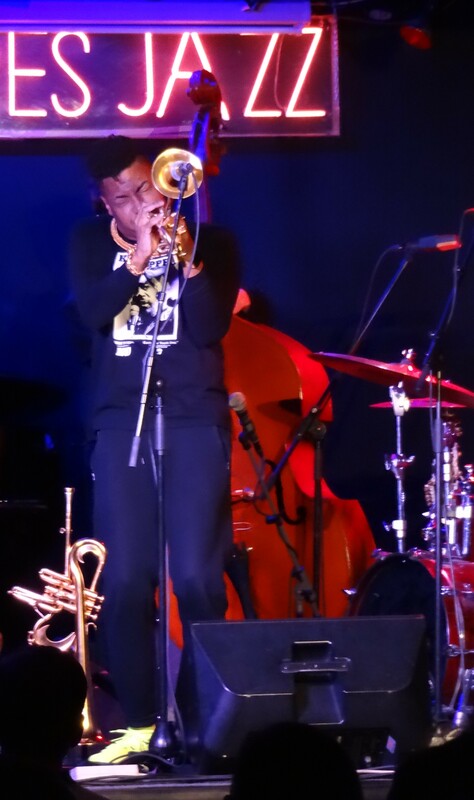 I have been a fan of boundary pushing trumpet player Christian Scott for a while now and go and see/hear him whenever I get a chance – so when he came to Madrid again and performed at Clamores, I was there – he had as usual a great group of young musicians to support him and the powerful mix of old and new tunes and his impressive stage presence and trumpet playing made a full house and enthusiastic audience enjoy the show. Tracks from his new and very modern (including well used electronics) and exciting album ‘Ruler Rebel’ made a big part of the set list, but as well classics and some of his own compositions from earlier records. Great to hear him again, have a little chat after the show and then go home and listen to his new record, which I can truly recommend. A rebel of some kind was Allan Holdsworth, the genius guitarist who passed away on April 15th, at the age of 70 years. I heard him first on the Nucleus album he played (‘Belladonna’, 1972) and then kind of ‘bumped’ into his name on various other recordings I liked – Soft Machine, Gong, Tony Williams, Bill Bruford and so on and then of course I got some of his own recordings, especially the live album ‘All Night Wrong’, 2002 and ‘Flat Tire’, 2001, the music for a non-existent movie! Few musicians have been so influential and still being almost unknown. A very unique voice has been silenced! Rest in Peace. Rohey – ‘A Million Things’, Jazzland Recordings – soul, jazz, a bit retro, but still fresh .. and what a voice! Just check it out – I don’t want to put into categories – it is simply a great record with amazing music. Nels Cline – Lovers, Blue Note – this is album was released already last year and it took me some time to get a copy and listen …now I can’t stop – it is such a beautiful album – the arrangements by Michael Leonhart are just perfect to the sound of Cline … I am glad there are still labels doing such albums. Jose James –Love in a time of madness, Blue Note – Jose James can do great jazz and beautiful soul and this album combines both, leaning a bit more into the soul side of his. There a bunch of great songs here, at the moment my favourite is I’M YOURS, featuring Oleta Adams, but that might change as I discover new nuances within the songs with every listen. 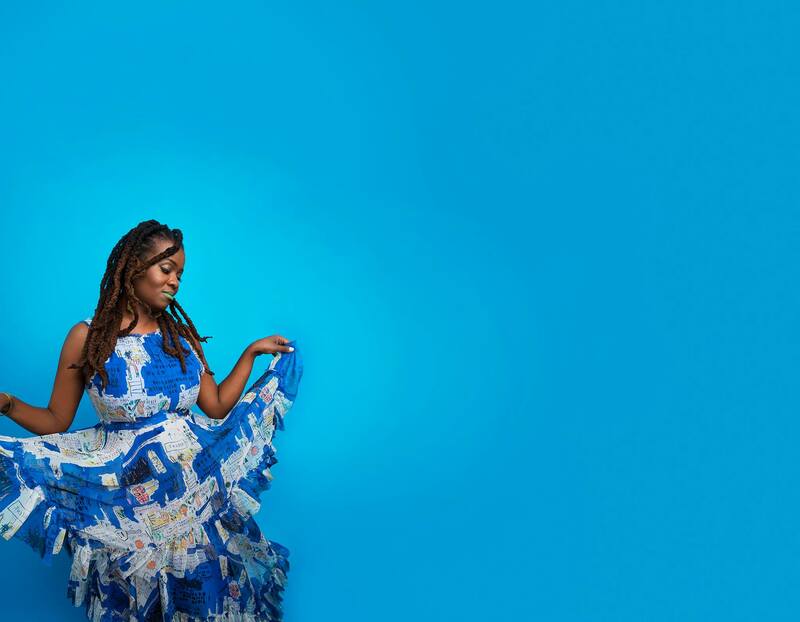 “ … For more than 15 years, Somi has been mining her global black identity for music that speaks to the vast beauty across the African diaspora. And right now, her voice is more important than ever, considering that every aspect of her person is under siege in America. As woman, she faces a president who boasts about sexual assault. As a black person, she faces a legacy of state violence that dates back to chattel slavery. And as a descendant of immigrants, she faces a country that is on the verge of succumbing to xenophobic paranoia. But from the pain of these struggles, she’s crafted the perfect salve: her sixth album, Petite Afrique. The album’s name is a reference to Harlem, where Somi planted her roots more than a decade ago. Harlem is a source of inspiration because the New York City neighbourhood embodies both the links and fractures that exist between African-Americans and African immigrants living in America. Unfortunately, Harlem’s unique black culture is one that is rapidly disappearing as gentrification takes hold of the city. On the new album, Somi’s voice is powerful and soars like a modern day Nina Simone. But her lyrics also strike a chord. With blunt references to the Black Lives Matter movement and police brutality, the project is a perfect illustration of some of the biggest issues impacting black people today. In this frenzied and fearful political and social climate, Petite Afrique lends a breath of fresh air to those feeling under represented or misunderstood”.